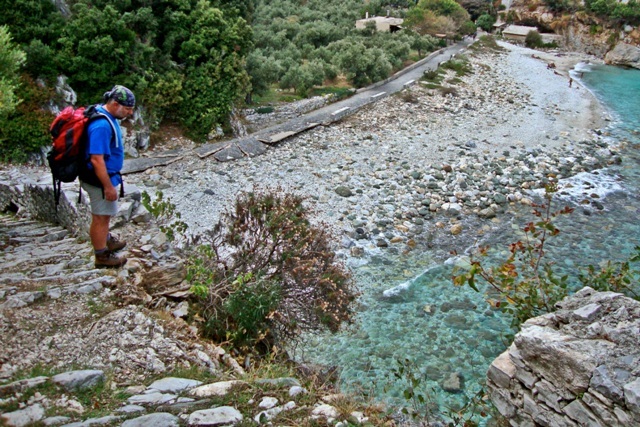 Walk on cobbled stone paths, visit historically traditional villages built by the best stone masons and craftsmen of 19th century Greece, cross orchards, olive groves, beech and chestnut forests, while enjoying the amazing views towards the Aegean Sea and swim in brilliant blue crystal clear waters at unique beaches. 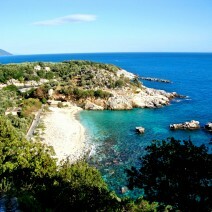 Upon arrival in the city of Volos on your own* you will meet with a member of our team. We will then transfer you to the picturesque village of Milies. After check in you can explore this beautiful village and have dinner in a traditional tavern. On your first hike you will walk on an old stone path and follow the old steam engine train route from Milies to the train station of Pinakates. You will continue your way for the village of Kala Nera. 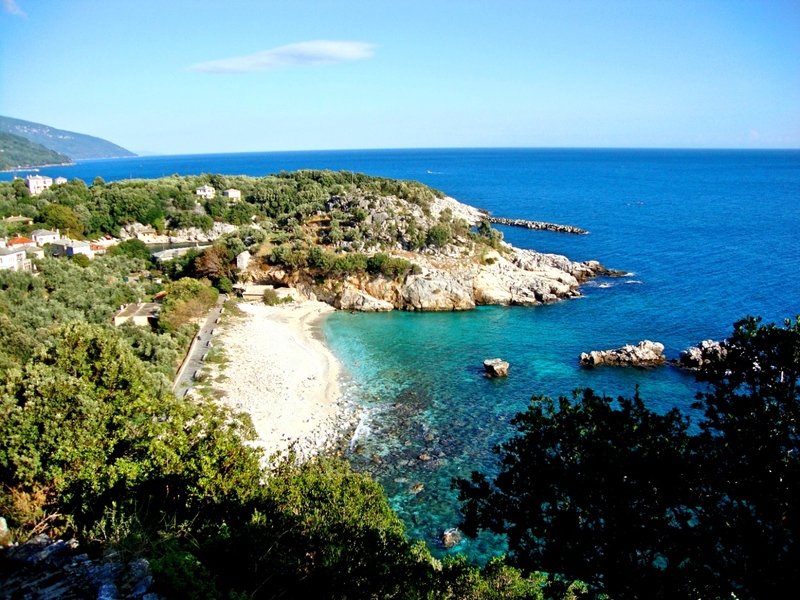 As you hike through olive orchards you will have a stunning view of the Pagasitikos Bay. Upon arrival in Kala Nera you can swim and have lunch at a restaurant by the seaside before hiking back to Milies. Today’s hike will take you to the opposite side of the mountain. From Milies, which is on the south west side of the mountain, you will travel northeasterly to Tsagarada and Damouchari through an enchanting forest road teeming with tall chestnut trees and other greenery. In Tsagarada you will admire the oldest plane tree in Europe which is more than 1750 years old and enjoy a pleasant picnic beside a charming white chapel along the hillside. 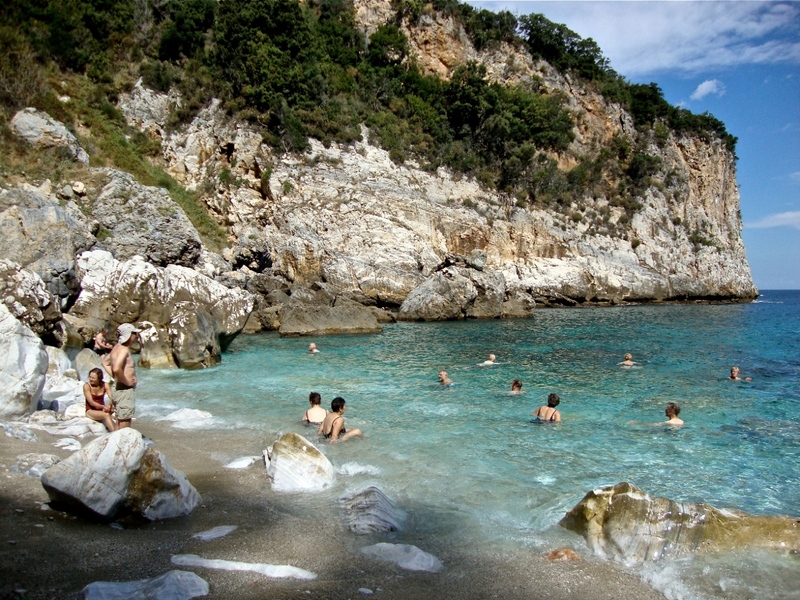 After lunch you will descend to Damouchari beach crossing one of the most beautiful old stone paths and walk through the lovely seaside village which may be already familiar to those who have seen the movie “Mama Mia” since many scenes from the movie were filmed here in 2007. 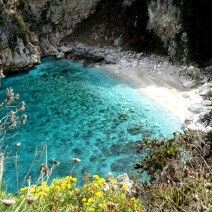 Your destination on today’s hike is the isolated beach of Fakistra, the beach with crystal clear blue green water. Following the coastal path with magnificent views of the Aegean Sea, you will enjoy a refreshing swim at this captivating beach and a delicious picnic lunch afterwards. 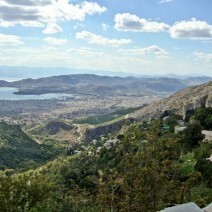 You can begin your return hike late in the afternoon along the same path back to Damouchari. Today’s hike begins at Damouchari taking the shoreline path to Agios Ioannis and the breathtakingly white sandy beach of Papa Nero. It would be a crime not to leave ample time for a splash into the turquoise colored waters of Papa Nero before embarking upon your ascent to Chania. You will pass another of Pelion’s famous mountain villages en-route to Chania, that of Kissos, and from there we will transfer you by car to Chania. 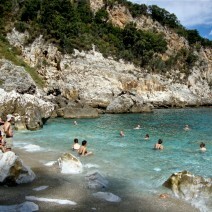 An optional afternoon activity will be a walk around the ski center of Pelion. Meals: Breakfast. Overnight stay in Chania. 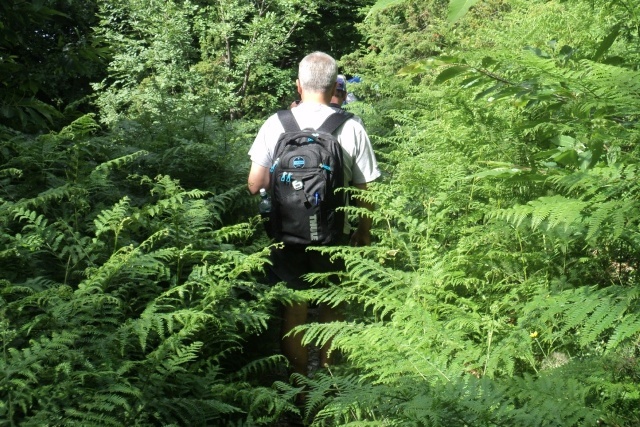 Today you will hike in a mountainous terrain around the ski center of Pelion, in a loop. Your walk to the ski center of Pelion, which is at an altitude of 1470 m, starts from your hotel. 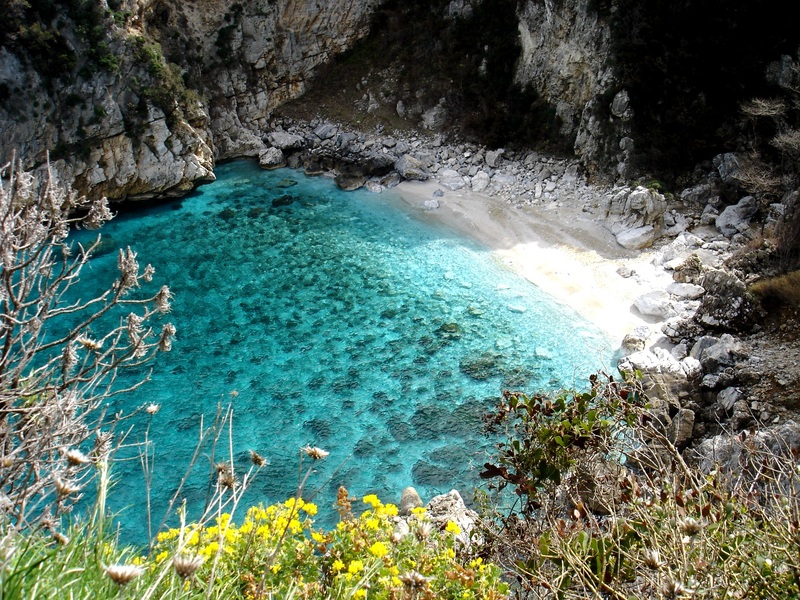 Once you get there you’ll enjoy the beautiful views of the Pagasitikos Bay. 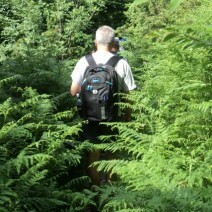 You continue your walk through a shady forest of beech trees and return back to your hotel. Today you will follow the same path that was used by the Centaurs – the half-horse half-human creatures of Greek Mythology. The best known Centaur, Chiron, was the tutor of Achilles and Asclepius. This path, which begins in Chania at an altitude of approximately 1200 meters and overflowing with Mediterranean vegetation, will lead you to the village of Portaria. In the afternoon you can discover yet another incredibly beautiful village of Pelion – that of Makrinitsa referred to by the locals as “the balcony of Pelion”. 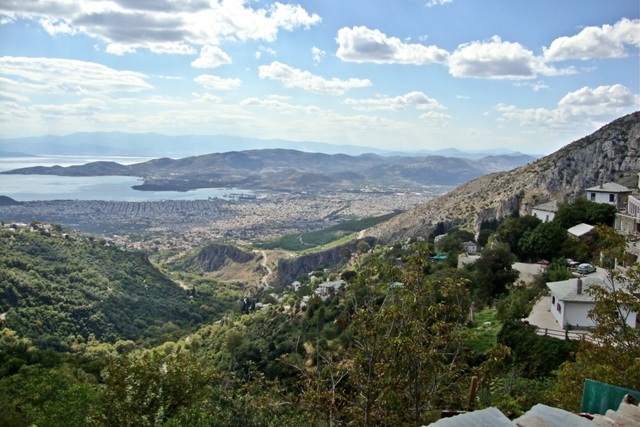 With its historic old mansions and stunning view of the Pagasitikos Bay and the city of Volos below, the beauty of Makrinitsa will become etched in your memory forever. Meals: Breakfast. Overnight stay in Portaria. After breakfast, we transfer you to the city of Volos. Please note that this tour is subject to change at the discretion of the tour leader, according to local and weather conditions or circumstances beyond our control. * Transfers from other airports / cities can be arranged with an additional cost. 7 breakfasts and the dinner on first day.